When Should You Call Your Dentist or Oral Surgeon? It is perfectly normal to feel some discomfort and swelling after wisdom tooth extraction. This is all part of the healing process. In spite of this, we know you likely have questions about the anticipated recovery time, and when you will be able to eat all the foods you enjoy in complete comfort. Read on to discover the answers to the commonly asked questions about wisdom teeth extractions. Straightforward wisdom teeth extractions can often be carried out in your dental office, using local anesthetic to keep you comfortable. 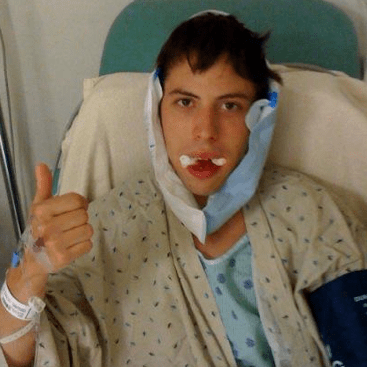 However, if there are likely to be any complications or you intend to have all four wisdom teeth removed at once, you may need to have this procedure done in a hospital setting and it will be carried out by an oral and maxillofacial surgeon. On average, recovery time is between three and five days. Some people may find they still have some discomfort and swelling up to a week after surgery. During the first 24 hours, it’s common to experience some minor bleeding or oozing from the extraction site, but this should cease as the blood clot forms and the area starts to heal. Your dentist or oral surgeon will advise you to eat soft foods for the first few days and it’s wise to avoid spicy foods that could irritate the extraction site. If you smoke, it’s best to give up completely for at least the first three or four days after surgery. This is because the action of sucking on a cigarette could dislodge the blood clot, while nicotine makes it harder for the gums to heal. You should also avoid alcohol and excessive exercise during this period. It can take up to a month for the gums to completely heal. 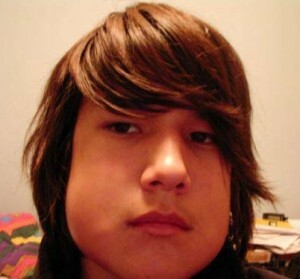 A lot depends on how badly the wisdom teeth were impacted and the complexity of the surgery required in removing them. Check out our guide on how much wisdom tooth removal costs. Your jaw may be too small to comfortably accommodate your wisdom teeth. As a result, they may be unable to erupt through the gums and will become impacted. Sometimes wisdom teeth can only partially erupt and will remain partly covered with a flap of gum tissue. Food and bacteria can become trapped underneath this flap and it is very difficult to keep the gum tissue thoroughly clean. This can result in the gum tissue becoming red, swollen and infected, and rather painful. Impacted teeth can cause damage to the adjacent teeth, or to the bone surrounding them. Wisdom teeth can come through at odd angles; they may be tilted towards or away from the tooth in front of them or angled inwards or outwards. If your wisdom tooth erupts and is pushing against the adjacent tooth, this can damage the adjacent tooth and may increase the risk of tooth decay and infection. The additional pressure on this tooth can result in the rest of your teeth becoming crowded and you might require orthodontic treatment to straighten them. A wisdom tooth will have originally developed within a sac in the jawbone. This sac can fill up with fluid, forming a cyst or tumor that could damage the jawbone and any nearby teeth and nerves. If a tumor does develop, it’s likely to be benign but will still need to be removed. Wisdom teeth that are partially impacted are at higher risk of tooth decay. This is because partially erupted tooth is harder to keep clean than a tooth that fully erupts. Wisdom teeth are often trickier to keep clean because of their position right at the back of the mouth. A painful form of gum disease called pericoronitis can develop in the gum tissue around a partially impacted wisdom tooth. Check out our guide on how to relieve wisdom tooth pain. You will also need to plan to take some time off work or school, so you can have your surgery and rest up afterward. If your wisdom tooth extraction is being carried out under local anesthetic then you will be able to drive yourself home, but if you require additional sedation you will need someone to take you home. Make sure any children or pets will be cared for during your appointment and immediately afterwards. You can find a dentist using our clinic locator map. Surgery is likely to be completed within 45 minutes. If you require additional sedation, your surgeon will request that you prepare for the anesthetic by not eating or drinking after midnight on the night before the surgery. On the day of the surgery, your dentist or surgeon will check you are fit to proceed; if you have any infections your surgery may be delayed until you have recovered. Your doctor may prescribe antibiotics to help clear up the infection. During this treatment, you will receive some form of pain relief to make sure the procedure is comfortable. Local anesthetic is administered by injection near the site of the extraction. If more than one wisdom tooth is being removed, you will need an injection near the site of each extraction. Before the anesthesia is administered, your dentist will apply numbing gel to your gums so the injection will feel more comfortable. You might feel a slight pinch, but there shouldn’t be any pain. With a local anesthetic, you will be awake during the tooth extraction and it’s quite normal to feel a slight pressure and movement as the tooth is being removed. You should not feel pain at any stage. With sedation dentistry, the anesthetic is administered intravenously through your arm. Once the sedative has taken effect, you will be given local anesthetic to numb your gums. You will still be conscious during treatment but are likely to feel very sleepy, and once the sedative wears off, you are unlikely to remember much, if anything about your appointment. If your wisdom tooth extraction is likely to be particularly complicated, you may be offered general anesthetic. You will be given medication either intravenously or through your nose, or both. During treatment, you will be unconscious and completely unaware of having your wisdom teeth removed. Your surgical team will include an anesthetist who will closely monitor all your vital signs during treatment. This includes your blood pressure, temperature, breathing and your fluids. Immediately after your wisdom teeth are removed, it’s normal to experience some bleeding, and some pain and swelling. Your dentist or oral surgeon will give you precise instructions on how to look after your mouth during the initial recovery period. During the first 24 hours, you will need to avoid brushing and flossing near the extraction site, and you cannot spit or rinse. Once the first 24 hours are over, you can gently brush your teeth. 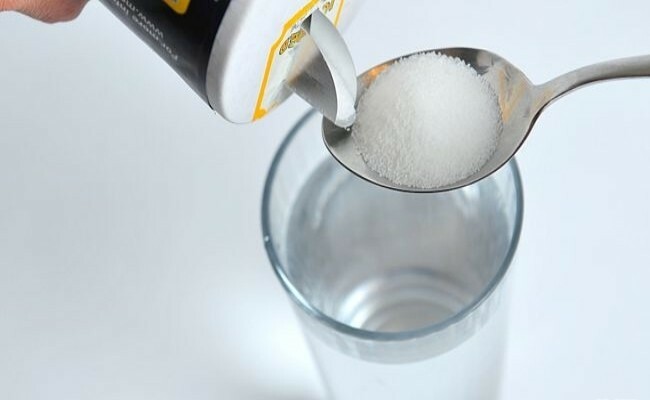 Rinse your mouth frequently with a warm salt water solution. This will help to keep it clean and free from infection. Before you have your wisdom teeth extracted, stock up on soft, easy-to-eat foods such as yogurt, applesauce and cottage cheese. During the first few days, stick to soft foods, before progressing on to semi-soft foods as the extraction sites begin to heal. Avoid consuming solid foods, hot drinks and soda, alcohol, and coffee for the first few days after your wisdom teeth have been removed. It’s best to plan on taking it easy during the first few days after surgery, as strenuous exercise could dislodge the protective blood clots that will have formed in the empty tooth sockets. Your oral surgeon can prescribe painkillers to control any discomfort, or they may recommend over-the-counter pain relief. An ice pack held over your jaw can help control the swelling and will reduce the inflammation, easing any discomfort. Following your dentist’s instructions as closely as possible during this healing period will help speed your recovery. You may also find some of the following tips are useful. Avoid spitting because this could dislodge the blood clot. If the site is bleeding, then bite down gently on the gauze pads supplied by your oral surgeon, as the pressure will help the blood to clot. If you still have bleeding 24 hours after surgery, contact your surgeon or dental office for advice. Pain may be controlled with over-the-counter painkillers, such as acetaminophen, or your oral surgeon may have provided a prescription medication. This might be the case if bone was removed during the surgery and using an ice pack can help relieve the pain. During the first 24 hours gently apply an ice pack to the outside of your mouth for 15 to 20 minutes at a time. After the first 24 hours, switch to using moist heat and continue for the next two or three days. Generally, any swelling should improve after two or three days, but it may be a while before any bruising disappears. You will need to rest for the remainder of the day after surgery, but most people will feel well enough to resume their normal life the next day. For the following week at least, avoid taking strenuous exercise as this could dislodge the blood clot. For the first 24 hours avoid brushing your teeth or rinsing your mouth or using mouthwash. You can resume gently brushing your teeth after this initial period, but avoid the surgery site when doing so. Use a warm salt-water solution to rinse your mouth every two hours and after each meal for a week after surgery. This will help to reduce swelling while washing away any food. When making a salt water rinse, dissolve 1 teaspoon or 5 g of salt in 8 fluid ounces or 240 mL of warm water. Avoid smoking for at least 72 hours after surgery and longer if possible. Chewing tobacco shouldn’t be used for at least a week. Using any type of tobacco product will slow down healing and increases the risk of complications. The sucking action during smoking can dislodge the blood clot and at the same time, it reduces the blood supply to the gums. This makes it harder for the gums to heal and to fight any infection. If you have stitches, they may be dissolvable or need to be removed. Your dentist or surgeon will tell you at the time of surgery if you need to make an appointment to have them taken out. For the first 24 hours after surgery, stick to eating cool or lukewarm, soft foods such as pudding, soup, yogurt or applesauce. Other foods to try include smoothies, pureed foods, and shakes. When you feel ready, you can begin introducing semi-soft foods back into your diet, but avoid eating very hot or spicy foods until your gums are properly healed. It’s important to avoid eating anything that could become stuck in the extraction sites, such as rice, seeds, nuts or popcorn. Otherwise these foods may become trapped in the empty socket or will irritate the wound. Do not use a straw to drink as sucking liquids through a straw could loosen the blood clot. As your gums heal, you can gradually reintroduce harder and crunchier foods. It is rare to experience any complications after wisdom tooth removal, but if you are at all concerned that something may be wrong then don’t hesitate to get in touch with your dentist or oral surgeon. If necessary, they can arrange an emergency consultation for you.